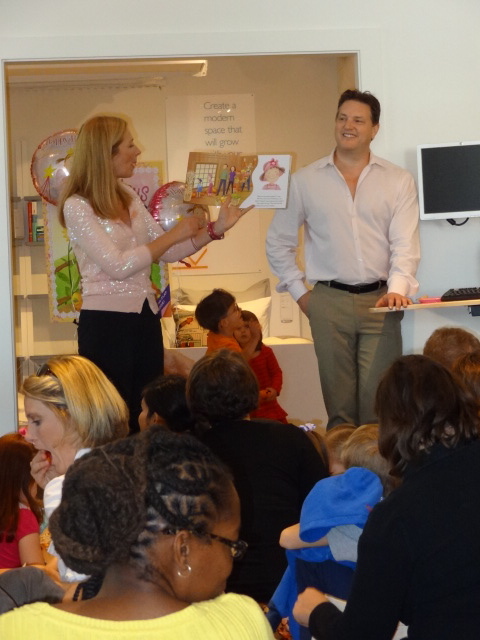 The awesomely modern furniture store Room and Board in DC hosted a very unique event this morning–a book reading and playdate for children and their parents in the children’s section of the store. 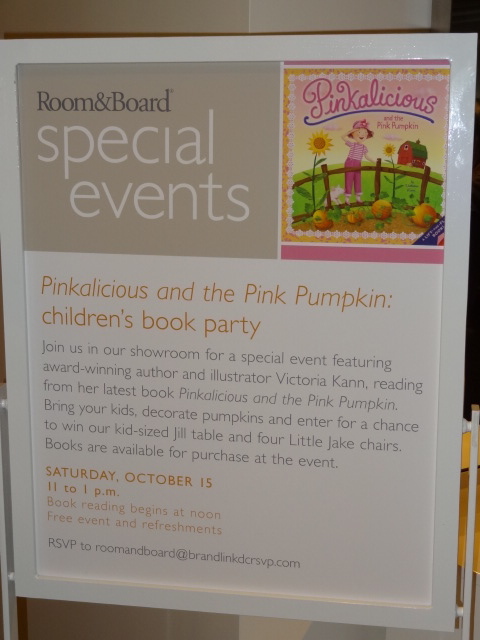 It was a fantastic celebration of Victoria Kann’s lastest book: Pinkalicious and the Pink Pumpkin. The party featured pumpkin decorating and snacks before Ms. Pinkalicious herself, Victoria Kann gave everyone a really nice narration of the newest tale in her series and offered a personalized book signing afterward. I can’t say enough great things about the author. She was one of the sweetest, most endearing women I’ve ever met in my life. She smiled at every parent and every child there. She signed all the books with a pink pen and drew little hearts and cupcakes on every book. She was gracious and patient. She stayed until each and every person who wanted to was able to get their book signed. This was the best book signings I’ve ever attended! Pinkalicious and the Pink Pumpkin is sure to be a classic in the Victoria Kann series!